As a new year begins, so does the desire to re-invent oneself, or at least embrace change. For me, fashion wise this year I feel like i'll be more swayed towards investment pieces rather than one off's, simply because I feel like my wardrobe at this moment in time, just isn't up to par. I have a horrible habit of buying lot's of items that i'll wear once or twice before disposing of them, all because the cheaper price tags. This year, I plan to spend wisely. Earthy muted tones have been constantly on my mind lately, whether it's a camel coat, or beautiful photography of plants, i've been enjoying softer colours. I have to agree with you Sade. In my wardrobe everything is a bit miss match and this year I really want to save my money and get into the habit of having money always available so I can buy key pieces for my wardrobe and not just the odd top from primark. I love this mood board and all the colour, the brown and the yellow and the picture with the women with oranges, everything goes together so well. Love this mood board. I really need to do the same as you and stop buying lots of clothes I'll only wear once! Yes yes and thrice yes. 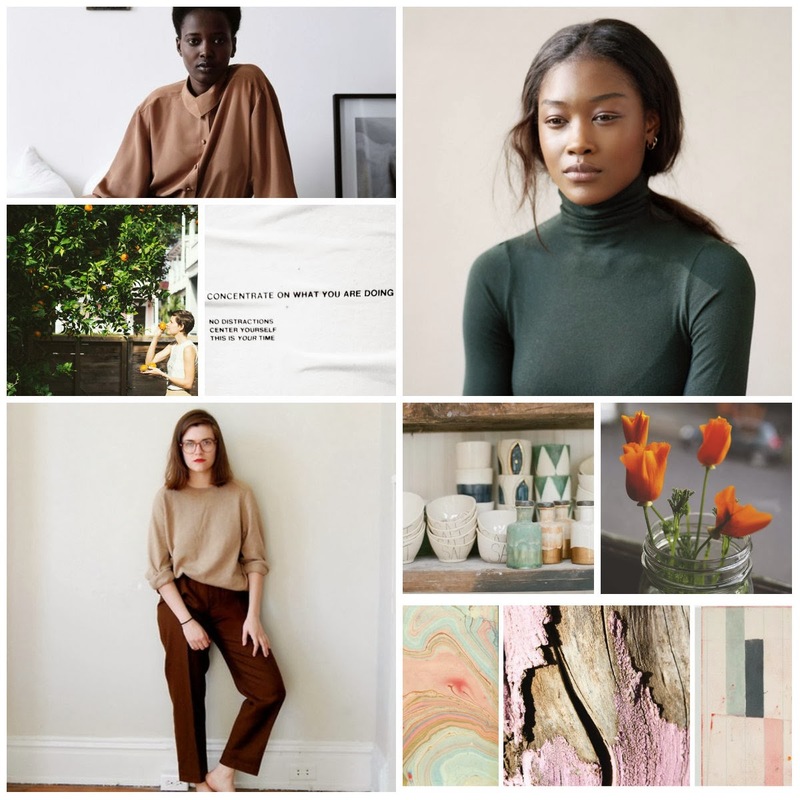 I really like this moodboard - 'earthy' sounds like the most sensible and edifying theme ever. I agree with you - this year I'll only be buying quality pieces of clothing and homeware - buy once and buy well! Just found you blog and really liking it! Totally following you!